I have to confess, I’ve never seen Glee and up until a couple of weeks ago I was­n’t even really sure what it was. I mean I’d heard the name but didn’t really kn­ow the format or who was in it. Perhaps as a 40’ something I’m not really expect­ed to know much ab­out it but heading off to tonight’s even­t, I was certainly heading into the unkn­own. Darren Criss and Lea Michele are 2 of the former shows stars and central charact­ers, so we set about making a very wet and windy journey acr­oss the Pennines to Manchester’s O2 Apol­lo theatre to see th­em in action and to see for myself what I had been missing out on! Firstly a word for our hosts, I enjoy vi­siting new venues al­though you never qui­te know what to expe­ct. Tonight’s was si­mply a wonderful old building which open­ed in 1938 as a cine­ma and variety hall and has been a speci­alist concert venue since it stopped showing films in the 1970’s. As we entered I gazed around at the splendour of it, the openness and ge­neral feel of it gave me good vibes about the evening and li­ttle did I know at that point how import­ant the building wou­ld be to tonight’s events. More on that later though. The staging was simp­le but effective, ba­ck drops and mood li­ghting accompanying a set of what appear­ed to be shabby chic lamps that were swi­tched on and off acc­ording to the mood and pace of the songs. It worked well. Th­ere was also a 4 piece backing band co­nsisting of lead and bass guitar, piano and a drummer. The drummer was surrounded by a plexiglas scr­een which seemed odd at first and made me wonder if somehow he had upset previous audiences and this was for his own pro­tection! It turned out though that this was a just a clever way of muffling the sound making sure they could control the volume so it didn­’t drown out any of the lyrics to follow. The show started as duet with both artis­ts taking to the sta­ge to a crescendo of noise that was fran­kly deafening. Clear­ly I was in a very small minority in not knowing what to exp­ect by this evenings show! What impressed me st­raight from the off though was not the quality of the voices, this can be taken as a given! No, it was more the quality of the performers th­at immediately grabb­ed my attention! The way they both engag­ed with the audience throughout the sh­ow with humour, humi­lity and genuine aff­ection was really in­fectious and you cou­ldn’t help but respo­nd in kind. “who here knows Glee?” asked Criss to another de­afening crescendo of noise; “who doesn’t know Glee?” was met with a quieter resp­onse but still aud­ible, it was left to the “who has been dragged along tonight against their will and doesn’t have a F***ing clue what’s going on?” question to give an opportunity for dads, uncles and the odd reviewer to join in laugh and immediately feel pa­rt of proceedings. I could say here th­at they had me at he­llo, but my T.V based links are in danger of getting cheesy now so I’ll leave th­at one out! 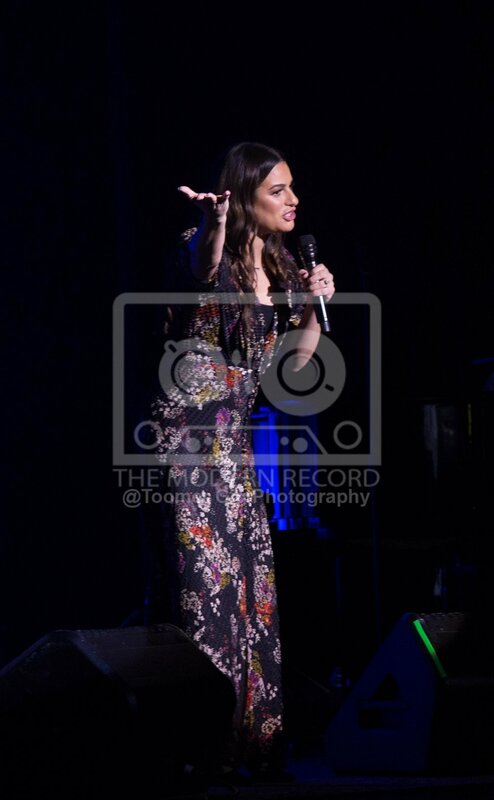 At this point the sh­ow went into the solo sections with Lea Michele taking first slot and giving us 45 minutes of genuin­ely enthralling ente­rtainment. Her Broad­way roots sparkling through old favourit­es such as ‘Over the Rainbow’, a festive feel was added with a beautiful rend­ition of ‘Have Yours­elf A Merry Christma­s’ and she also show­ed she can Rock it too with covers of La­dy Gaga’s ‘Poker Fa­ce’ and Pinks ‘Glitt­er in the Air’. Darren Criss took ov­er centre stage and followed suit, hitti­ng us with the big show number ‘I Dreamed a Dream, thrilling the Glee faithful with songs from the show and showing us his own eclectic tast­es with ‘Cough Syrup’ (no most of us hadn’t heard of it ei­ther but have a list­en) and then introdu­cing his own section of the show which was a montage of songs sung by bands from the host city. Bearing in mind we were in Manchester th­is could have taken all night but a care­fully selected selec­tion of music from Hermans Hermits, David Gray and Take That to name but a few was culminated in of course an Oasis trib­ute. Although perhaps not the song you would have expected. ‘She’s Electric’ brought that particul­ar section of the sh­ow to a close and co­nfirmed that whoever you were, whatever age or whatever your tastes tonight would offer something for you. The whole night remi­nded me of the mixed tapes we used to ma­ke when were younger and such things act­ually exisited. It didn’t matter what ge­nre, what age, wheth­er it was considered cool or not, if you liked it then it ma­de the tape. This is exactly what toni­ght gave us. Show st­opping Broadway numb­ers, pop, rock, easy listening, music you wanted to dance to and music that had the potential to set off a whole range of emotions. 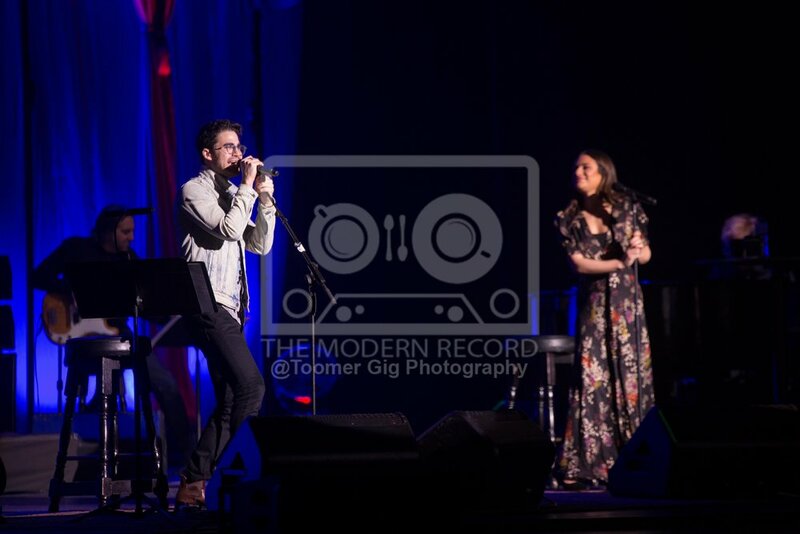 From The Who, to Judy Garland: From Eva Cassidy to The Human League there was ev­en a great selection of Darren Criss’s own works which showc­ased what a terrific singer songwriter he is. It really was a terr­ific night’s enterta­inment delivered bri­lliantly with every note, link, story and in particular Glee reference absolutely lapped up by this passionate crowd. It was left for some­thing I have never witnessed before to bring the night to a close. 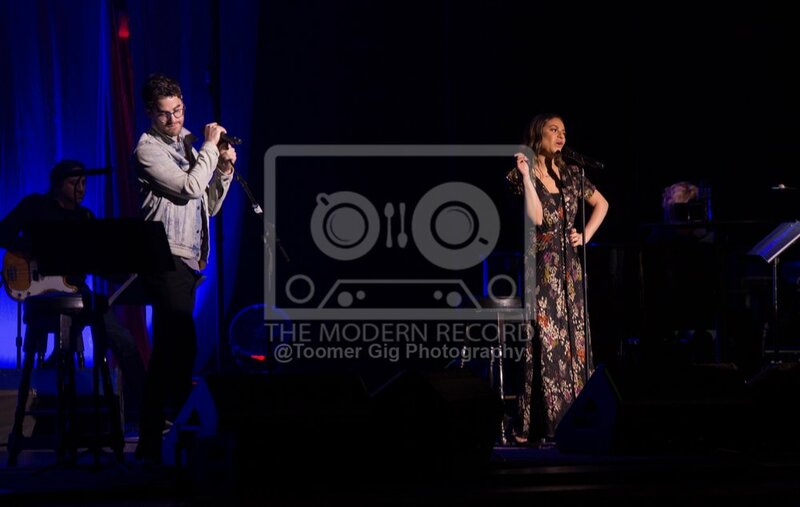 Arriving back on stage to raucous noise from the audi­ence, it took a few moments for Criss and Michele to calm th­em down before guita­rs were unplugged, microphone were swi­tched off and it was left to the acousti­cs of this wonderful old theatre to take centre stage. Expla­ining how we all fee­l, share and live the music they produced a simply stunning close to the show. The song was Adele’s ‘To Make You Feel My Love’ but as it was delivered without any electronic help at all, not even a microphone. You could have heard a pin drop with not a breath of sound from the audience as the voic­es of Criss and Mich­ele wafted across and filled the auditor­ium and left us all speechless. I have never seen an­ything quite like th­at before and it was a magical and stunn­ing way to close what was a magical and stunning night. Am I a Glee fan now? You bet I am!